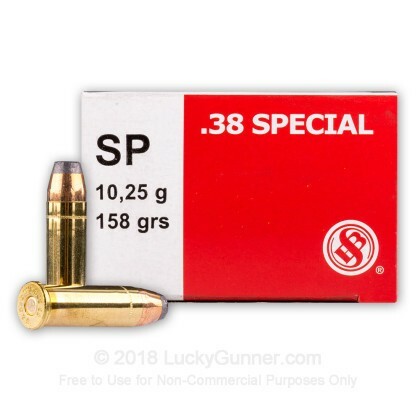 Buy Your 38 Special In Bulk And Save Some Cash Today! 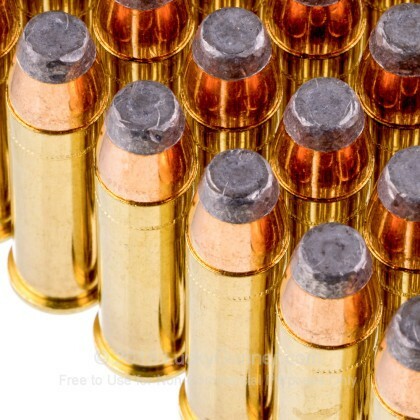 From ammo manufacturer Sellier & Bellot (S&B) comes a 158 grain semi-jacketed soft-point round. 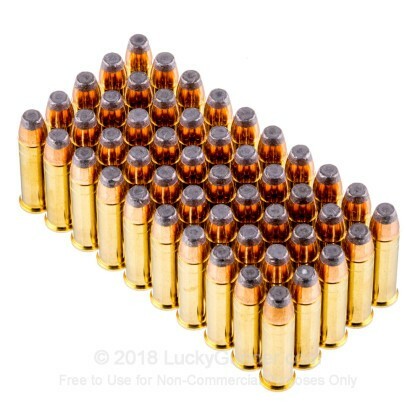 This ammo is new production, non-corrosive, boxer-primed with reloadable brass casing. Sellier & Bellot has been producing cartridge ammunition since 1825. Today they produce ammunition using high quality components which is used by hunters, competition shooters, law enforcement agencies and militaries around the world. 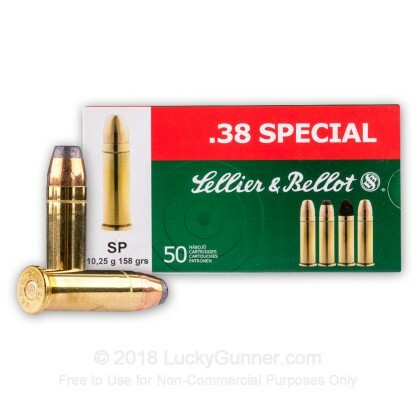 We don't have any reviews yet for this particular .38 Special ammo from Sellier & Bellot. 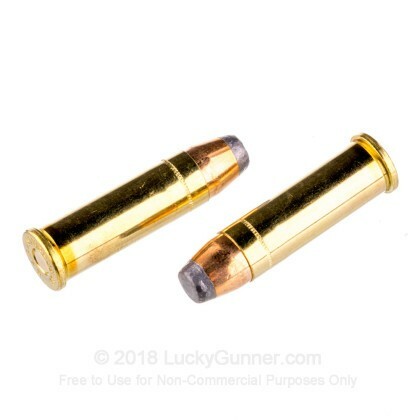 If you'd like to be the first to review this particular .38 Special ammo from Sellier & Bellot, fill out the form below. 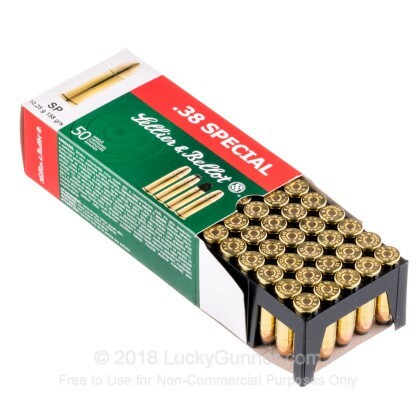 We also have this 38 Special - 158 gr SJSP - Sellier & Bellot - 50 Rounds ammo in stock in a smaller quantity.